Please come help us make a difference ……GET INVOLVED with our regional science fair! Many opportunities exist to engage with bright, motivated 6th through 12th grade students who are our future of science, technology, engineering and math (STEM)! 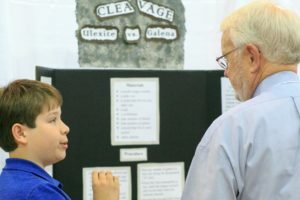 Judging at the regional fair or at a school fair allows an exchange with students who are investigating topics in your field. It is an opportunity to provide feedback and encouragement which may be the spark they need to further pursue a STEM field. There are also students and teachers who are looking for mentors with expertise in STEM areas. And volunteering with event operations helps facilitate the opportunity for more students. 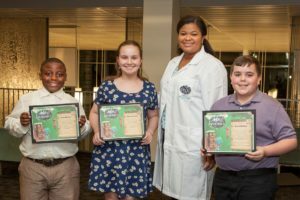 Finally, presenting a student with an award specific to your interest or organization is a great way to recognize their accomplishments and encourage their future direction! 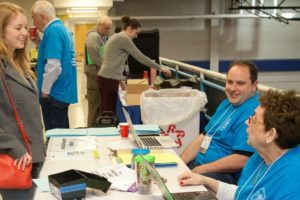 The 2019 Greater New Orleans Science and Engineering Fair (GNOSEF) is open to middle and high school students in Orleans, Jefferson, St. Bernard, and Plaquemines parishes and is one of the largest fairs of its kind in the state of Louisiana with over 300 students expected this year. The 2019 fair will be held at Tulane University on February 18-21, 2019.